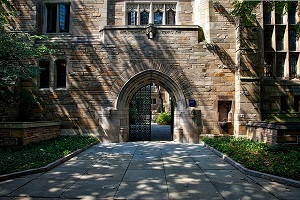 Columbia University, established in 1754, is a private Ivy League university located in New York City. It was established as King’s College by a royal charter issued by George II of Great Britain and renamed Columbia College in 1784 after the American Revolutionary War. It is one of the nine colonial institutions established in the US prior to the Declaration of Independence. In 2017, Columbia University had an acceptance rate of 5.5 percent, making it the third most selective college in the US and the second most in the Ivy League. The university itself tells us that it uses a holistic approach that is not based on test results or GPA alone. The applicant’s academic record is seen in the context of his background, extracurricular interests, and intellectual achievements, among other factors. Columbia has adopted a committee-based approach in which each application is not decided by just one official but many. The context of a candidate’s family circumstances, secondary school, community, access to resources, and interests is taken into account. If you are an undergraduate, you can apply either to the Columbia School of Engineering or the Columbia College. First, choose what your interests are. If you want to study engineering or computer science, apply to the school of engineering. If you want to choose other subjects, apply to the college. The university takes a broad-based approach to admissions. Experience is the best guide, and it is wise to ask people who have it. Ask the school or college officials whether they have a list of alumni whom you can speak to. Old as well as current students may have many experiences to share with you. First-hand knowledge is the best knowledge. Register with Columbia for campus tours and information sessions so that you can be in New York City when the university organizes such programs. On the campus, try to meet students and find out how they prepared to get into Columbia. Talk about their programs and see which and what about these programs might interest you. It is important to choose programs that you like and can do well in. What about if you cannot go to NYC? Columbia organizes information sessions outside NYC, and you may attend them. The larger objective of the Columbia admissions committee is to find out whether the applicant is capable of fully using the resources available to her and that she challenges herself with tough courses and scoring high in them. The character and personality of the candidate are also noted. As for academic preparations to get into Columbia undergrad, you need to start preparing right from high school like you would do in the case of other Ivies and elite institutions. Choose the difficult programs at high school and try to do very well in them. If you are going for engineering, choose math-heavy courses. Over 90 percent of the Class of 2018 at Columbia graduated in the top 10 percent of their class, according to online sources. The GPA average of current admitted students is 4.16. Show the admissions people that you are passionate about the subject that you want to take as your major. Write about your passion and subject if possible, for example, in a blog post. Participate in an engineering club, or better still, launch one. Columbia wants its undergraduates to make an impact in the social and cultural fields, too, besides academics. So it will take a close look at your extracurriculars, too. Be active culturally, as Columbia Writing Supplement will ask you about the films and concerts you have seen, and books, newspapers, and magazines you have read in the last one year. The best advice is to take up activities that you’re passionate about and not something that would look good on your CV. Take interest in community projects, too. But always remember to balance your academics and your extras in such a way that you do well in both. As for standardized tests, Columbia requires only Math and Critical Reading, and not the Writing Section on the SAT. The median score of admitted students for the Class of 2018 was between 2160 and 2330 on all three sections. For the SAT subject tests, you can go by your strengths. If you are applying for engineering, you should take Math and one from Physics, Chemistry, or Physics. You shouldn’t take the Foreign Language Subject Test if you are a native speaker. Manage your time properly and take practice tests to get the best marks possible. The “hidden” SAT requirement, based on the average scores of admitted students, is 1530 on the 1600 SAT scale (25th percentile 1470; 75th percentile 1590) and 2240 on the old 2400 scale (25th percentile 2100; 75th percentile 2380). For ACT, the writing component is not required since 2017. Submit your SAT subject test score with ACT if you have a chosen area of interest. About 80 percent of the Class of 2018 who took ACT scored between 32 (25th percentile) and 35 (75th percentile). Native speakers of English, candidates whose primary language of instruction has been English throughout secondary school, and candidates who have scored at a certain level (see university website for details) in writing and reading SAT/ACT tests do not have to additionally fulfil Columbia’s official language policy. Other candidates have to clear TOEFL, IELTS, or the Duolingo English Test (DET). In your essays, it is wise to write about something you know about. If it is about activities, write about those that you have participated in. If it is engineering, write about your experiences, such as when you tried to apply scientific concepts to your projects. If it is a cultural question, talk about your identity and where you are from and your perspectives. If it is about whether you are a right fit at Columbia, refer to the curriculum of the course and which topics you are keen on pursuing. If it is about “why engineering,” talk about how you came to be interested in the topic. You can make your essay interesting by adding real-life anecdotes. Your personal statement gives a hint of what motivates you. As in the case with other elite schools, you need to write a strong personal statement, giving attention to length, topic, and format. Ask a friend or a teacher to review it. The university points out that recommendations provide evidence of intellectual curiosity and promise, classroom, school, and community participation, and the potential of the candidate to make an impact not just in the university but also on the world outside. You need three recommendation letters—one from your high-school guidance counsellor and two from teachers from your academic disciplines. They should know you well and about your character, communication skills, and work style. Talk to the teachers about your plan to go to Columbia so that they can write personalized letters. Interviews, when available, are conducted by alumni volunteers. They are not required for admissions. But if you are offered an interview, take it, and answer questions sensibly and also have intelligent questions to ask of the interviewer. Fill out your application completely. Make sure you have the material for the Common Application with you. Understand the questions of the Writing Supplement and write according to the guidelines. If you have science or arts experience, use the supplementary materials of the Common Application to fill in the details. The application fee is $85. One advice that seems to be out there is that by applying early, you show Columbia that it is your first-priority school. Finally, you need to show the admissions officials that you are passionate about the subjects that you have chosen, that you are a good fit for the school, and that you will make the most of the facilities and resources that Columbia can offer you. The admission process is largely the same for all students. Applications are reviewed by regions, and the review is conducted by officials who are well-versed in a number of school systems. Along with the school report, Columbia organizes a school profile to know more about a candidate’s institution. When you are applying as a graduate student, first choose from Columbia’s 17 schools conferring PhDs and master’s degrees. Each school has its own requirements and rules. Study those of the school you are interested in by visiting their websites. If possible visit the campus and schedule appointments with your possible future professors. Some schools themselves arrange meetings and information sessions. One big step forward is to get high grades in your graduate exam. If a program has required courses or a cut-off GPA, be aware about it. Contact the program administrators if the information is not readily available on the websites of the schools. Score high marks in the standardized tests necessary for your program. If information about the marks required is not available, contact the program administrators. Follow the guidelines on submission of marks. You also need a well-written personal statement in which you speak about how your chosen program at Columbia will help you meet your professional and academic goals. Ask a professor to review your statement for effectiveness and clarity. Your college professors who know your character, communication skills, and plans are your best recommenders. It would be ideal to talk about plans with your recommenders before they write their letters to Columbia, so that they can personalize the letters more effectively. Make sure you have all the information and material before you fill out the application, including any supplementary material that you wish to send to Columbia.